Want this item tomorrow, Friday 26th April? Order within the next 7 hrs 4 mins and choose Next Day Delivery during checkout. 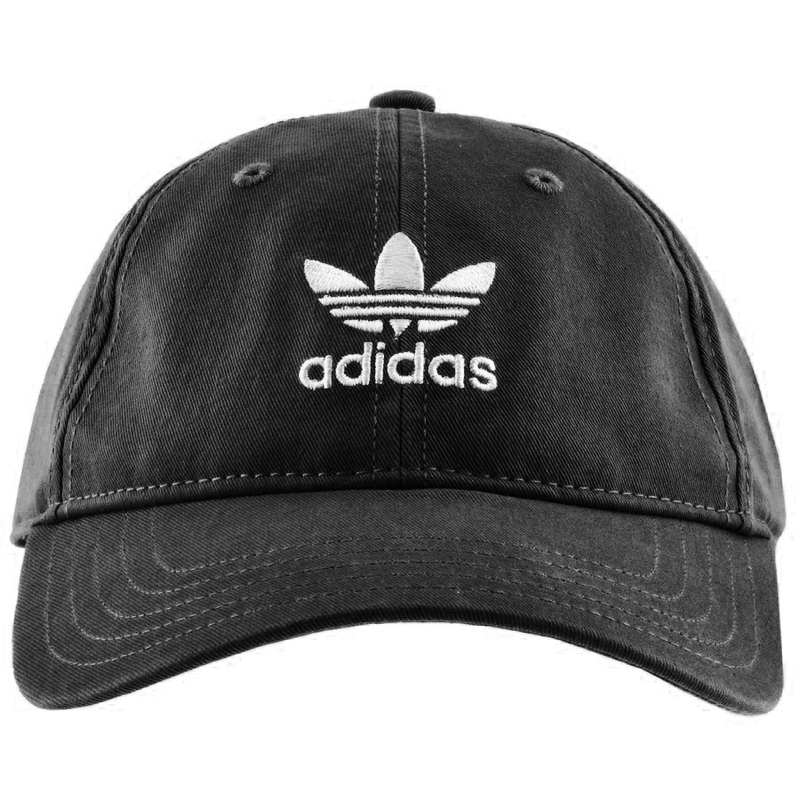 Adidas Originals Adicolor Washed Cap In Black, A stiff front peak and an adjustable strap and metal clasp snapback on the reverse with a woven Adidas Three Stripes pinch tag in black and white. Washed black twill design with an embroidered signature Adidas Trefoil logo situated on the front of the cap in white. Embroidered eyelets around the top for ventilation and top stitching in black. 100% Cotton. More Fashionable Styles of Adidas Originals Beanies, Hats and Scarves Live.